The American Society of Civil Engineers represents more than 150,000 members of the civil engineering profession in 177 countries. Founded in 1852, ASCE is the nation's oldest engineering society. 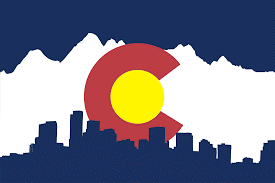 The Denver Branch of the Colorado Section was formed in 2017 and operates under the leadership of the Colorado Section. Since the Branch’s inauguration, its members have been actively involved in the advancement of the science and profession of civil engineering in the Denver Metro Area. The Denver Branch of the Colorado Section of ASCE allows civil engineers who live and/or work in the Denver metro area to network, exchange ideas, build leadership skills and create lifelong professional connections. We are continually looking for motivated volunteers.